Blessing 145 families with food for dinner. 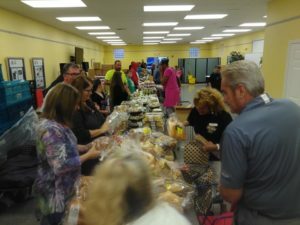 With God’s Grace provided a wide variety of food to 145 families on Monday, Sept 24, 2018, at our Xenia, Ave mobile location in East Dayton. With God’s Grace would like to thank Carroll High School and all of our Volunteers for helping fight hunger in our community.